The search for the best laptops for music production that is available in the market will start soon, but we first want to discuss how should you make that decision ? It doesn’t need much power like a gaming laptop(of course the more power you have the better). Your money is better spent on more musical instruments. I am going to get different options for different price tags, so you can choose the best the suits your needs and budget. To be honest, it only makes a different what brand you have if you already selected a software for music production or as some would like to call it a DAW(for short) and it only works on one OS (for ex: on a Mac like Garageband or Logic). Both Microsoft and Mac have enough power to run a great laptop for music recording and production. If you already have another device and you will do some back and forth then you need to take that into consideration as well because you it will be a little hard to transfer work from PC to Mac and the other way around. Only select one over the other if you have a preference (not related to specs). When we are looking for the best laptop for music production we prefer Windows over Chrome OS and that is mainly because Chrome OS doesn’t support .aac files (audio files for mac) which means we will not be able to use our work on iTunes. When it comes to space windows wins this one too(an important factor when we are looking for the best laptop for recording music) because the chromebook have much less local storage usually almost 20 times less so it is a huge difference and we will be favoring Windows here (unless you are just making music for fun or on a really tight budget we can can consider chromebook later). This is where my ability shines. The most important part in a laptop for music recording is the processor. It needs to be at least 2.5 dual core, if we get a 2 quad-core or 2.6 quad core will be more than enough. Ram, this is not going to be hard as we need 8 GB of ram and higher. Storage, now that depends if you are only going to use the laptop for music production ? 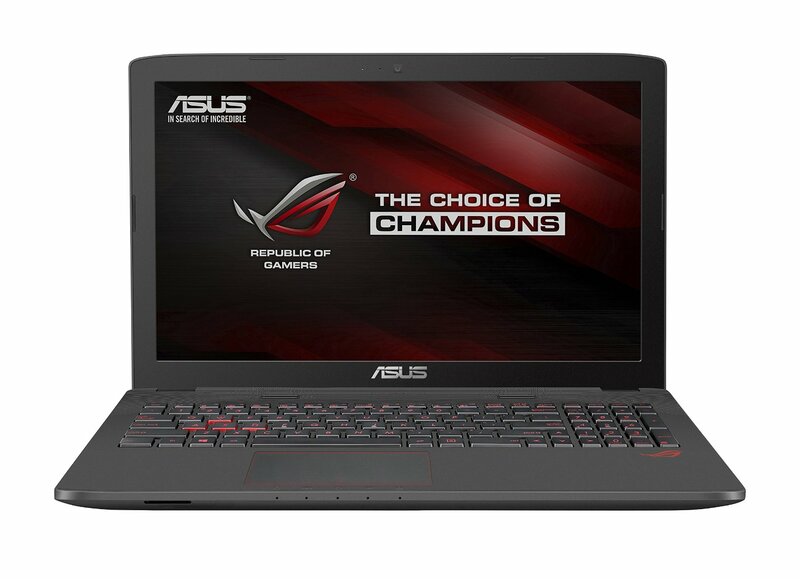 or you are planning to use the laptop for gaming, work, school, images and videos. But of course the higher the better, so we are looking for 500 GB or more. Screen here is not a big factor but we need something 13 inch and above (it is annoying to work on smaller than that , at least for me ) but since we are using this laptop for actual production work it will be better if it is 15.6 inch or even 17.3 (if our budget allow it since it will be higher in price). They both offer Hyper-Threading Technology which is what helps your music laptop do heavy multitasking without sacrificing performance. It will work fine if you are browsing the Internet while making audio files. Core i5 will be enough but if we can afford it we will go for Core i7(That is because most laptops are hard to upgrade so we have to plan ahead how long do we want the laptop (of course the higher specs now the more you can get out of it for a longer time. If we are looking for great music production laptop(which we are) core i7 is what we will go for because that will decrees the lagging or crashing, and will give us the power, audio quality, graphics quality, speed, and overall performance that we want. Standard HDD or SSD ? SSD is faster, but they usually don’t have as much storage so you need to decide which is more important to you, speed or storage? SSD will also allow faster writing speeds as well as multitasking or and a lot of file transfer. You can always attach an extra hard drive via USB, so don’t lose sleep over it. That is more money and more weight if you are planning to move around a lot. HDD on the other hand, has more storage,but will be heavier and slower. I would go for a SSD and an external hard drive if I needed more storage later (it can also save on having to buy a DVD driver since You will have the external hard drive to put your work on). Do you need long battery life ? This is subjective and you are the one who is best to answer that question. Are you going to be using the laptop outside home/office often ? Is this is for strictly inside work ? If you are going to use plugged in all the time then battery life should not be an issue here. Having a USB 3.0 support is a nice bonus as you will need it for faster connectivity. Side note: a lot of you will think that I forgot about the audio card, this is actually not of important here since most likely you will be using digital audio interface. It has 16 GB DDR4 RAM which is very fast and will support a lot of multitasking. The keyboard comes with red-backlit That will help if you use your laptop outside your office or home. It has a 1 TB HDD 7200RPM and 128 GB SSD, so we can use the SSD for faster data transfer and the HDD for more storage, we are basically getting the best of the two worlds. It can be easily upgraded if needed (it is unlikely that you will need to soon since it is a very powerful device, but you might need to 3 years or so down the line). Since we are looking for a music production laptop it is nice to have the SonicMaster and AudioWizard(which will greatly increase the quality of the audio). It also has GameFirst III Technology which was developed for gamers to keep the lag down, but will also help you during rendering. The screen is FHD 17.3 inch with matte display, and 1920 x 1080 resolutions(which is just a nice plus). Comes with 2.0, 3.0, 3.1 USB ports which will help with the rest of your setup. It is practically mute during operation, so no fan sounds to distract your ears. Intel Core i7-6700HQ 2.6GHz(quad core). 16 GB DDR4 RAM(exactly what we need). 17.3 inch Matte FHD display(easy on the eye and no problem to use outside). NVIDIA GeForce GTX 960M 4GB VRAM(in case you want to do some gaming or even video editing as well). 1024 GB 7200 RPM and a 128 GB SSD . DVDRW/CD-RW(very useful if you want to burn samples of your music). A lot of bloatware that will require removing to get the best performance. The matte surface leaves a lot of oily fingerprints and it can be a little annoying, but not a deal breaker. Surround Sound Technology(which will help you reviewing your own music). It also have an audio recorder (high definition of course) which will help with stream, record, and produce your music. It has a multicolor keyboard (which is very cool, and very efficient if you use your laptop in dark environments). It is equipped with Matrix Display technology which makes watching, streaming videos great expeince(will do great if you also do any video editing). The combination between specs and price are awesome. 2.6 GHz Core i7 6700HQ (high performing processor from the 6th generation). 8 GB SO-DIMM (Will be more than enough for a music production laptop). 1 TB HDD (with the highest speed at 7200 rpm). 17.3 screen with Non Reflection 1920×1080 pixels(full HD). Backlite keyboard (no problem for working during long nights). Battery life is not great if you maximize usage of the laptop, but shouldn’t be a problem if you are near a plug or use it moderately. Intel Core i5-4210M 2.6GHz( not the best we can get but it is great for the price). 8 GB DDR3L SDRAM(enough for music production, will have some lag if you use it as a video editing laptop too, and the good news it is upgradeable to 16 if needed). 15.6 Non Glare 1366×768 HD screen(great size if you plan to move a lot). NVIDIA Geforce GT920M 2G DDR3(Again, not the best, but it is on of the best for the price). 750GB (5400RPM) the speed is above average so it will do just fine. Weight 5.3 pounds so not exactly for travel, but light enough from room to room and such. It doesn’t have the latest windows installed, but (at the time of this article) you can still update it for free. Sometimes the fan can get a little noise if you are overpowering the laptop. You reached that far ? You still didn’t decide what to buy ? let me know how can I help more in the comments, I personally reply to all comments as soon as I can (I usually can pretty fast ). This is great set of specs I would go for it.